Who’s excited for LocWorld39? (Hint: we are.) Each year, the superbly organized localization conference brings together hundreds of professionals from growing global companies ready to take on new markets. And this year’s first LocWorld event promises to be spectacular. For one thing, LocWorld39 will be held at the beautiful Shangri-La Hotel in Malaysia’s buzzing capital, Kuala Lumpur (KL), an enticing destination for business travel. The former mining town is now one of the largest economic centers in Southeast Asia alongside Singapore and Hong Kong. For another, the “Go Global, Be Global” theme of this year’s conference represents everything we do in our industry. There will be ample opportunities for us to learn from colleagues—including localization experts from leading companies like PayPal, Netflix and Cisco—about what they’ve learned along their own globalization journeys. Maybe you’re all signed up and as excited as we are, or maybe you’re still on the fence about whether to join us. Either way, read on for what to expect from LocWorld Kuala Lumpur and how to make the most of your time there—both in and out of the conference room. A Rapidly Changing World, presented by author and speaker Fredrik Härén: In this inspirational keynote, we’ll get Fredrik’s insights on how to be more creative in the way we do business. He has more than 20 years of experience to draw from. Entering the ASEAN Market, with panelists from Netflix, Verztec Consulting, Astoria Software and Cloudflare: Don’t miss this if you’re interested in entering the fast-growing ASEAN market. The panelists will have plenty of practical advice to share from their own successes and failures in this association of Southeast Asian nations. Empower Marketers to Maximize Multilingual Content ROI, presented by Joy Chang from Alibaba Group and Morgan Gallup Zhu from RWS Moravia: From our own Director of Business Development and Alibaba’s Senior Content Strategist, you’ll learn how to tailor your services to meet the needs of content teams. What about networking opportunities? Glad you asked, because dinner is on us. On Wednesday, enjoy the relaxing evening we’re sponsoring at the Tamarind Springs, a restaurant known to many as the highlight of their stay in KL. The breathtaking rainforest surroundings, locally sourced food, fantastic service…everything exudes Asian elegance and a sense of being away from the city. But so do many other parts of KL. If you have time, we recommend you check them out. Lucky for you, the Shangri-La hotel sits in the bustling Golden Triangle in the heart of Kuala Lumpur. You’ll be a quick walk away from shopping in the Kuala Lumpur City Center (KLCC), bar hopping in the upmarket Bukit Bintang and admiring the city views from the landmark Twin Towers. Jalan Alor: You’ll find countless foods from different cultures at this vibrant street market. Most stalls open at night, so be sure to visit then. And don’t leave without trying the famous BBQ chicken wings at Wong Ah Wah. No Black Tie: This watering hole features a variety of performing arts. Kick back and enjoy some jazz, classical or whatever’s happening that night—the lineup changes almost daily. Madras Lane: Just off Petaling Street in Chinatown—a must-see in itself if you don’t mind the buzz—there’s a little alley fondly known as the Asian food lover’s paradise. You can get almost every local dish there. The River of Life: Another stone’s throw from Petaling Street is the River of Life project. 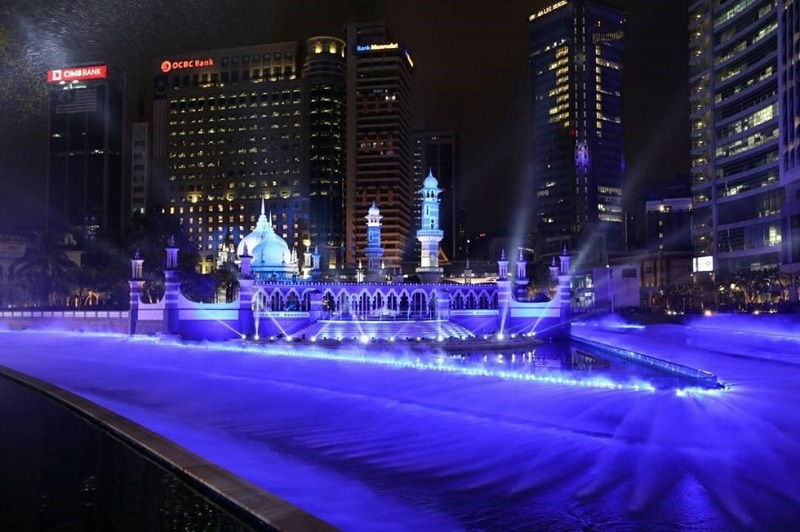 At night, the waterfront’s fountains and fish ponds light up to lively music while mists float over the water. It’s a magical sight. When you’re done exploring, why not join us for after-dinner drinks back at the hotel’s Lemon Garden Terrace? Courtesy of Memsource, this will be a great chance to relax and network before the last day of LocWorld. Time: Malaysia is a predominantly Muslim country. Don’t forget to take prayer times into account and try not to schedule anything for a Friday, the religious day of the week. Dress code: The weather is similar to Singapore: really hot in the afternoons but cooler in the evenings. A shirt and tie will do—you don’t necessarily need a jacket. While you now have all the need-to-know info about LocWorld39 Kuala Lumpur, there’s more to be found on LocWorld’s website. See this page for more details about the main program, speakers and exhibitors (and don’t forget to visit us in booth #111), and take a look at this one to see what other attendees have said about the event. If you haven’t registered yet, you can do so here. See you there—or as a local would say, jumpa lagi!